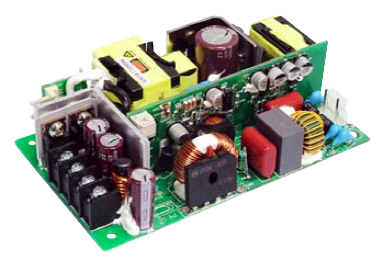 The PSSNP-G16 series of AC/DC open frame power supplies offers rated 160 watts, max. 240 watts, and a peak of 320 watts of output power in a compact 5” x 3” x 1.42” frame. This series consists of single output models with a wide input voltage of 90-264VAC. Each model in this series has high mechanical torque start-up as well as over load, over voltage, and short circuit protection. This series has UL/CSA/EN60950-1 2nd Edition and ANSI/AMMI/CSA/EN60601-1 3.1 edition safety approvals. Please call factory for order details. Notes: 1. Most power supplies will create audible burst sound at light load, if the application is to meet input power <0.5W at standby mode. “X” = “MA” for medical application but without burst sound and no standby mode. 3. Peak Load Duration: 320W can last for 5 sec. 4. 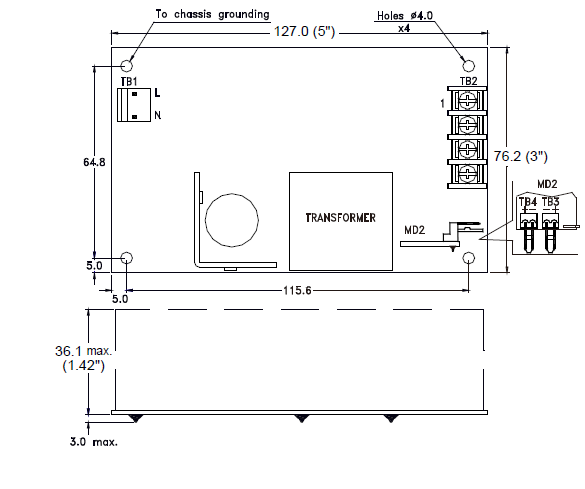 If there is a metal sheet under the power supply, connect the EMI ground to the metal sheet. 5. Energy saving for models without A suffix.